I suspect the owner is no-one to mess with. 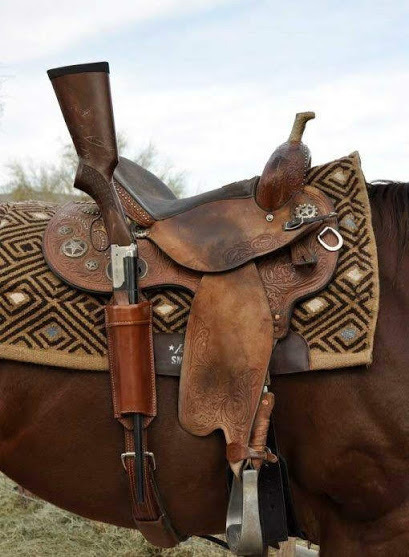 There is a lot of hours in that saddle showing. I love the dbbl barrel stock shows scratches its a working mans gun! As I'm not a rider, wouldn't be kinda hard to swing a leg over? Nope, mount with gun in right hand then put it the scabbard. I really love scenes like this! I prefer the scabbard on the other side. Dismount, then reach for the gun. Don't like dismounting with a loader gun in my hand.